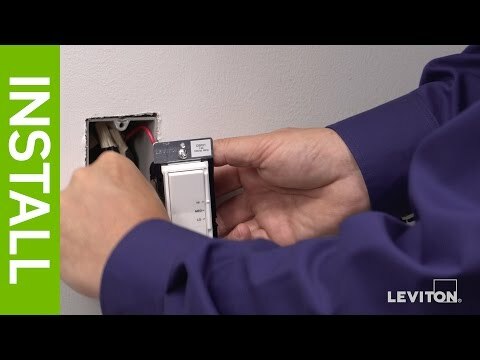 The Leviton Vizia RF+ 1.5A Z-Wave Quiet Fan Speed Control fits into a standard wallbox and replaces existing switches or fan speed controls to provide the visual consistency and features of Vizia R+. The design ensures quiet fan control with 3 levels of operation: low, medium and high. This Z-Wave smart fan speed control offers elegant, digital design, select Z-Wave integration and sophisticated smart home automation benefits to any Vizia RF+ smart home system. 3 preset fan speeds: High, medium, and low. Ideal for any area where ceiling fan noise is distracting. LED Locator and Speed Display.